Creationists will often see a fallacy called appeal to authority in discussions with atheists and evolutionists. We frequently encounter this at The Question Evolution Project and other places on teh interweb. While referring to an authority on a subject is legitimate, many tinhorns will refer to someone who has no qualifications in a subject, such as Clinton Richard Dawkins railing about theology. Atheists and anti-creationists get the bits in their teeth and ride hard to heavily biased atheistic storage facilities to find material on a subject, throw links at us, and essentially say, "I cited TalkOrigns! Case closed!" (Seems to me that this might qualify as confirmation bias, but I digress.) Citing those places is easier than thinking or reading creationary material, but those sites are unreliable; it is appeal to false authority in action. Recently, I made a post and said that opponents will go to the excuse mills. A furious atheopath proved me right by ignoring my remarks and giving a link to TalkOrigins at his post. The material was outdated and irrelevant, but people like this act like we've been debunked because of the "authority" cited. My belief is that they act this way because they are afraid to read material that refutes evolutionism and deep time. One of the boilerplate responses to the existence of carbon-14 in diamonds (or in other places where 14C "should" not exist) is contamination. If you study on it, that's a heap of contamination from quite a few labs doing a great deal of testing. 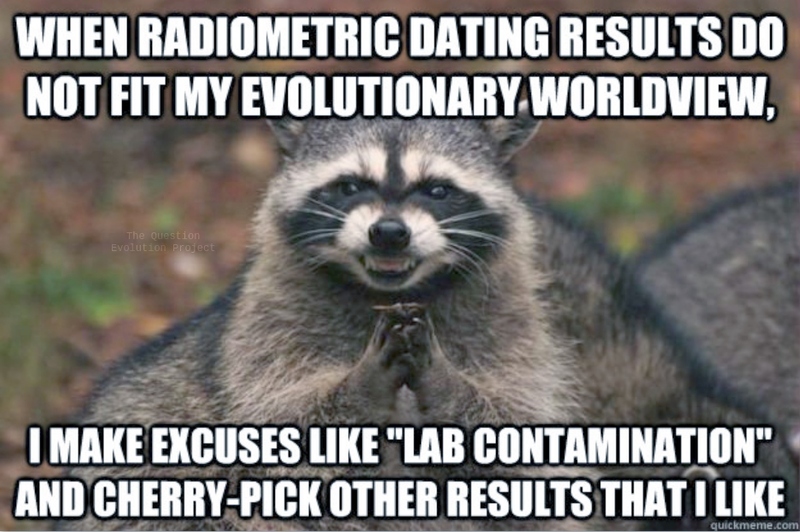 Those critics who are squirming to escape the inconvenient evidence are impugning the skill of those technicians — technicians and labs that they applaud when dating results fit their paradigms! Two standards, no waiting. No, there is no contamination. Fact is, Earth was created, and far more recently, than secularists are willing to admit. I was looking at talk origins’ little archive on Diamonds and C14 in summary. They say Radioisotope evidence presents significant problems for the young earth position. Baumgardner and the RATE team are to be commended for tackling the subject, but their “intrinsic radiocarbon” explanation does not work. The previously published radiocarbon AMS measurements can generally be explained by contamination, mostly due to sample chemistry. The RATE coal samples were probably contaminated in situ. RATE’s processed diamond samples were probably contaminated in the sample chemistry. The unprocessed diamond samples probably reflect instrument background. Coal and diamond samples have been measured by others down to instrument background levels, giving no evidence for intrinsic radiocarbon. To see Joel's response, click on "Carbon-14 in diamonds: Refuting Talk.Origins". You may be interested in another article, "Propaganda Talk about Origins". Also, there's a short video below.